Bobby Singh is a successful entrepreneur, property expert and has served in a senior management capacity at PricewaterhouseCoopers and KPMG. He has experience in national & international businesses handling Consulting, Finance & Research; apart from carrying out critical leadership functions. He is a prominent speaker on public forums and in media. His multi-award winning Group has recently partnered with Grand Designs Live and Birmingham Film Festival. Bobby helps inspire and instil confidence in people to persevere with their ambitions to become successful leaders, with a commitment to giving back, community cohesion and equality. He has a passion for reading, horse riding, analytics, art, photography & sports. 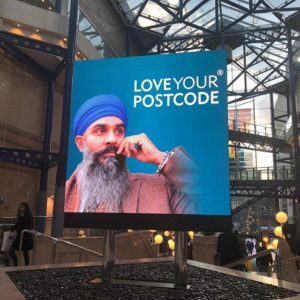 At Love Your Postcode, Bobby Singh heads brand & PR. 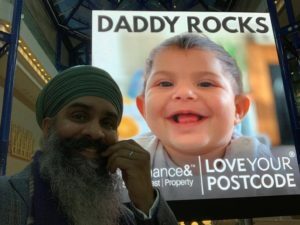 A. I’m 38 years old and co-founded Love Your Postcode ® property with my wife Catalina Lopez in 2011. We have gone on to create several high profile performance brands which sit under the umbrella of Performance&™. Today we are experts in buying, selling, renting, developing and managing property. A. I have three very young children blessed with amazing names from our Guru Ji’s Bani. Amritvella (Bella) Kaur is six years old. We consider her to be an old soul, very caring, sensitive, sociable and aware of her surroundings. She is a daddy’s girl and gets away with anything apart from slapping Eko occasionally. Ekongkar (Eko) Singh is four and a half. The half is very important to him, so we should emphasise it. Now, this guy is a real lion, loves his tractors, swords & guns. I would describe him as super happy, confident, funny & loving. He just walks up to anyone and starts a conversation with Bella on his side and one day Sevan I’m sure. Sevan Singh (no nickname required it’s a short name). Our youngest and most adorable lion cub only eight months and one that took me four years of convincing! I had to throw in a new house in Harborne for this gift from God. I always wanted a large family so that there was always noise in every room. My wife is amazing because she is 100% dedicated to making our home work. Often when I walk in late evenings I can smell amazing food, hear the kids doing homework and see Sevan in the baby jumper. At that point I say #waheguru thank you for everything. Q. 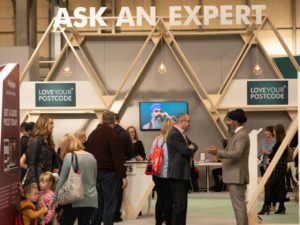 When you started love your postcode, could you have envisaged what it is today? A. It started in 2011 with a vision for creating something different with five-star performance written all over it. I made it clear that it would be the number one brand property in Birmingham and chased that dream in a balanced way. For five years it paid the bills and a good quality lifestyle. Then in spring 2017 I walked into my business and decided that I wanted a story, a legacy and play a bigger game. My teams are incredible and allowed me to dance with the fairies. This is where we are today, high in the clouds. Q. Why did you choose your own image to represent your brand? What faith does he represent? Why is he on the billboards? Why is he twisting his moustache? How is able to afford such a large media campaign and flourish on his image alone? I have been blessed with building an incredible position uber fast. I had 100% belief in my beautiful identity and it’s values. Today the photo speaks a million words about who we are and how proud I feel. No one else can represent it better, than the man that owns it. A. My babies are too young to understand all of this. But my daughter often says ‘daddy you’re such a famous man’. She says she’s proud of me and for the fact that I have made her famous because she’s the daughter of someone famous (apparently). Those words this Saturday touched me because she’s growing up and understanding the world. Q. I have seen that you have done some free talks to inspire the next generation, what is your message for the next generation? A. I love talking and applying the Sikh way of life to every inch of our success. I stand on stages and do my Fateh to thousands of people that have no idea what I said. But I love explaining who I am, what we stand for, our unique outlook on life. We have to inspire the next generation. 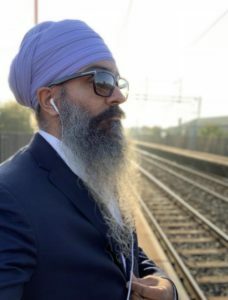 I have a 30,000 strong professional flowing on LinkedIn https://uk.linkedin.com/in/bobbysinghesq and use the hashtag #morelion that many people have started to adopt. 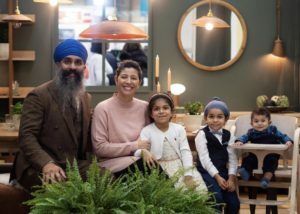 Every GurSikh has a responsibility to project a positive image of the Khalsa and lift others up along the way irrespective of colour, faith and status. Q. 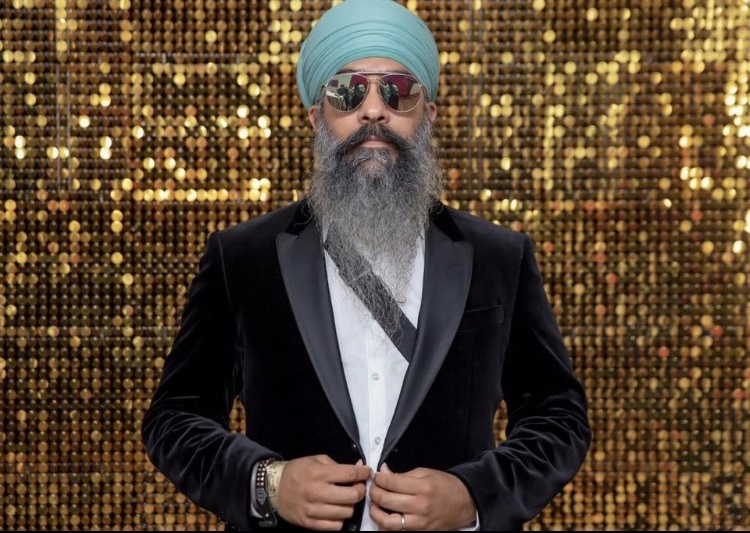 You have put Iconic Sikhs such as Sukha and Jinda (more recently) right out there in the public eye, what was your thinking behind this? And what response have you had? A. If my moustache is all the way up, then it is because of our heroes & martyrs. A lot of blood has been shed for our freedom to live proudly & freely in every country in the world today. Wherever we go today it’s, ‘Sardar Ji’, ‘we love the Sikhs’, ‘you lot are amazing’. 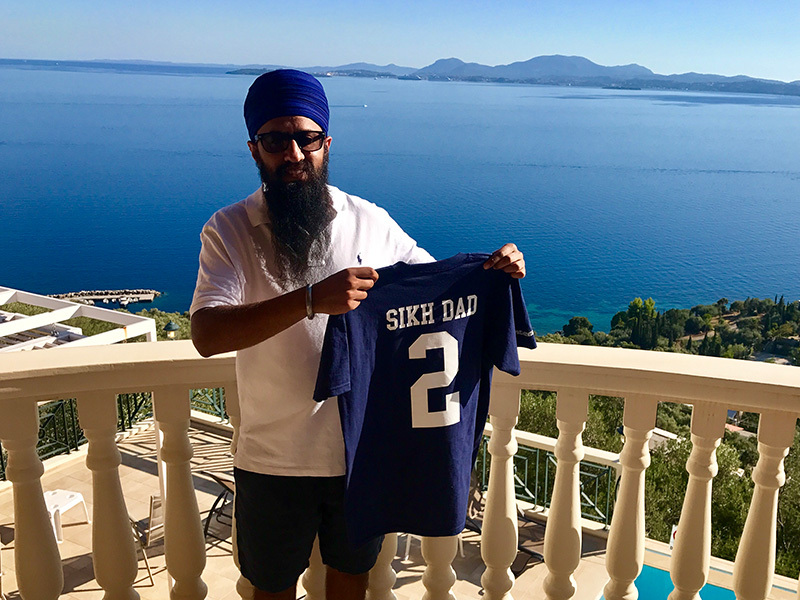 Our brand has been created on the back of such positive vibes and love for the Sikhs across the world. Guru Nanak Dev Ji really showed us the light and now each one of us holds that beacon. I was very young when I saw these two individuals eating lado and hugging one another in newspapers. I recall my parents and many others crying at their kurbani. It was a dark time for our panth. Those tears were not wasted and when accounts of each shaheed were read out by my mother I had it in my heart that I would balance the books one day. I have not been able to balance the books but I have been able to share the powerful images of 1984 and much more on our digital screens. These screens and our position in society is serving a purpose to our beloved kaum. Q. You have spoken very openly about your personal experience with suicide, how as a community can we become better at supporting people? A. Yes, we can. 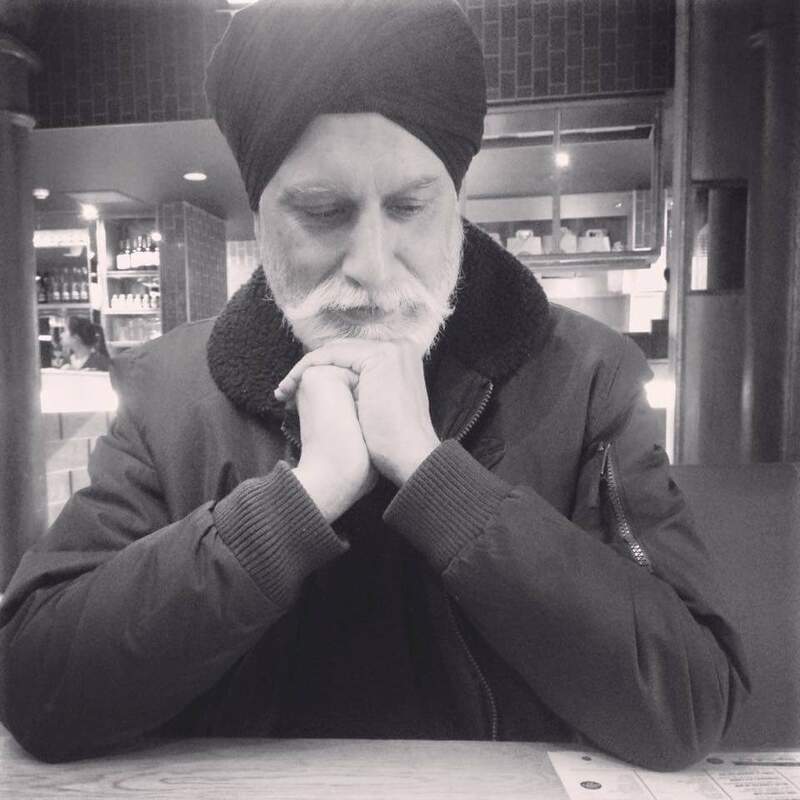 I would encourage you to take a look the Sikh Helpline https://www.youtube.com/watch?v=rmLkjVbwCFo . I talk openly about my experience with the dark side ten years back and I feel that it’s my duty to share it with others. I get approached on a daily basis by people that know my story. There is nothing to hide and I encourage more people to speak up about things they bottle inside. Your own personal story can change the course of someone else’s life in a positive way. A. Our Guru Ji’s & our Sikh martyrs. We have such a rich & powerful history that needs to be told. A. Remain humble and always give complete credit to #waheguru for everything. Son, don’t chase money. Turn your back to it. It will then chase you. Son, I’ve worked for £1.00 p/h and I am proud to admit it. I will never sit idle. Son, never ever borrow money from others please. Have self-respect and dignity at all times. Give money if you must help others, but don’t have any expectations on getting it back. A. Oh God yes. She is a wonderful mother and completely natural at it. She speaks fluent Spanish with them and makes me look silly because I’m still getting satisfaction from teaching them things like eyes, face, ear and hand. I promise you they will speaking and singing fluently in Punjabi one day. My wife encourages us to have days where it is just myself and one child, so that I can dedicate my complete attention to one, if the others been loved up too much. She helps balance everything in my life and brings with her a South American loving influence. A. Seriously enjoy the time you and your partner have together. It all changes once you become a daddy. Nothing is ever the same again. My wife wanted to travel to South America and then the world before having children. But at 31 & 29 we went into the most amazing phase in our lives. Try living a very balanced life. Everything including time with your loved ones is crucial. A. Time is precious. Enjoy every minute of it with the family. A. Do an Ardass. Let Guru Ji guide your household. Be gentle and try not to be hard on yourself or your loved ones. People often rebel when they are pushed into a corner. A. Punjabi cartoons like Peppa Pig! So that we can spend quality time with our kids and they would be better educated from a young age. Can someone help me move this idea of dubbing in Punjabi forward? A. The teams behind the counter because these people are amazing. They work so hard and have massive smiles on their faces. Q. Can you tell me a funny story of something that happened to you while being a father? You will understand once you tune into my life that it is all about funny and happy stories. A. The ability to look after God’s own creation is an amazing feeling. I know that I have to return these beautiful toys to the creator one day. I hope that I can return them complete and attached to Guru Ji’s feet. That is my real test and the test of every parent. A. To explain to Bella & Eko that I don’t want them to look at the others and cut their hair. They found that others looked so beautiful with their new haircuts and trends. I explained the power and gift of hair. It’s been nearly one year since they last asked and often explain to others that means of beautiful long strands of uncut hair. A. I have experienced #waheguru in loving and cherishing my cubs in a loving home managed by my darling wife. 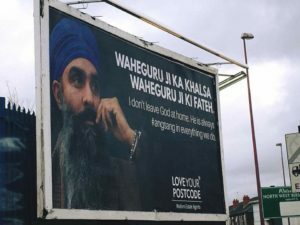 I first approached Bobby on LinkedIn a few months ago as I began to notice the amazing exposure he was giving to shaheeds of the past through his billboard campaigns. To my surprise, he replied back straight away and we got talking, we have not met as yet but he is the kind of guy that you can so easily connect with over the phone that you feel you have known him for years! Like many successful people he has had his own unique journey, I love his openness and the ease at which you can have a conversation with him, he thinks big and you can see why he continues to inspire thousands in person and via his popular social media channels. 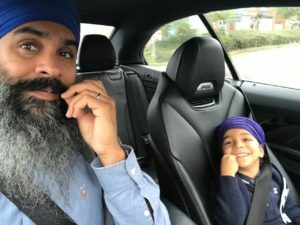 I have certainly learnt many things from him already and I am sure you have too, I commend him for the effort he put into this interview and thank him for taking the time out for Sikh Dad.